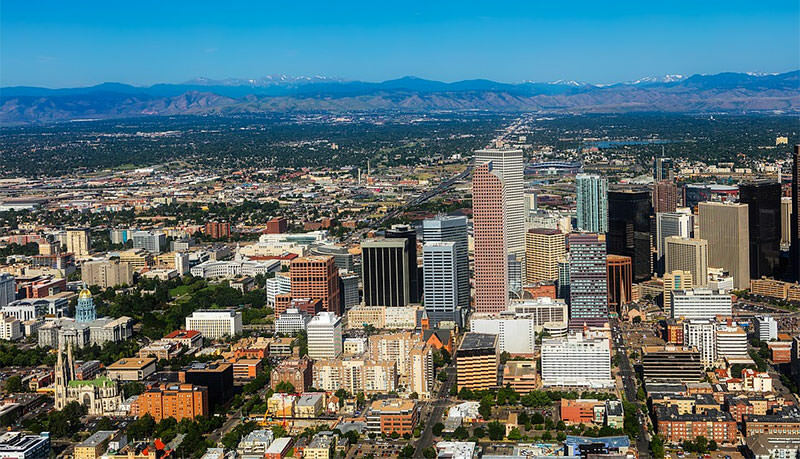 When you think of the vast Rocky Mountain region of the United States, the first city that probably comes to mind is Denver, known colloquially as the “Jewel of the American West.” While Denver certainly celebrates its rustic roots, the city has become increasingly modern over time and is now populated by a citizenry that adores its live music, although the exact type of music being enjoyed varies slightly along generational lines. Currently, the population of Denver (and those who visit) is blessed with an immense number of excellent live music venues, offering a little something for everyone’s tastes and interests. From large national and international acts touring the stadiums and arenas, to local indie bands and hip-hop artists making their way up the musical ladder one small club at a time, Denver is by far the most musically diverse city in the region. To give you an idea of the many performers—and performances—the city of Denver plays host to each and every year, below we have profiled several of the most adored and well-attended live music venues in the city, complete with a description of every bar, club, arena or auditorium and the types of performances typically hosted by each. Located at 60 South Broadway in the older downtown region of Denver, 3 Kings Tavern is one of those bars that fit nicely into the fabric of the neighborhood. Although South Broadway is currently getting a makeover from the city, 3 Kings Tavern has remained the same dingy punk rock bar it has always been, which is actually part of its charm. This is not to say that the bar is dirty; the tavern is just sufficiently “worn in,” much like an old comfortable shoe, offering its patrons a warm and welcoming ambience and a place in which to expel some pent-up energy. As mentioned, 3 Kings Tavern hosts more than its fair share of loud punk rock concerts, both local and national groups, during which revelers can form mosh pits and stomp their feet in approval of the sound. But the “Kings,” as it is known locally, also features gigs like burlesque reviews, bingo nights and some great local comedy acts. A pool table, fully-stocked bar and a few scattered stools make up the sparse furniture in the place, which is just fine for most of the patrons, as none seem particularly interested in sitting down, particularly during the very active concerts. Although not recommended for a date night, 3 Kings Tavern is a great place to go with the guys, particularly if you’re in that 20s to 30s range. As the name may suggest, the Hi-Dive Bar is a gritty, rustic, Budweiser-soaked bar that caters mostly to Denver’s younger clientele, as well as bohemian hipsters of all ages longing for a sense of the past. Like the 3 Kings Tavern, the Hi-Dive Bar can be found on the somewhat revamped South Broadway Avenue in Denver, luring customers with its affordable drinks, friendly atmosphere and the music—so much great music. The Hi-Dive Bar features a few live shows each week, including nationally-recognized indie bands such as Vampire Weekend and Fleet Foxes, as well as a diverse mix of local Mile High City bands dreaming of stardom on bigger stages. Most recently, the bar has essentially become the home base for Nathaniel Rateliff (a friend of Marcus Mumford from Mumford and Sons), whose Night Sweats band entertains patrons with their own style of folk and soul side music from the Hi-Dive Bar’s diminutive wooden stage. If you come to the Hi-Dive Bar for a show, make sure you first stop into Sputnik next door, the Hi-Dive’s sister bar, where you can nosh on some great Vietnamese food while listening to some of the older indie tunes spun expertly by the club’s in-house DJ. Located at 819 West Littleton Boulevard in Denver, Ds’ Tavern is one of those rare clubs that truly has something for everyone’s musical tastes, from rock, to country, to metal to hip hop. The tavern is owned and operated by David Bascio and DJ Santistevan—the two “Ds” in D’s Tavern—friends and partners who wanted to create a friendly bar that caters to all who enter it. With 4 bar-sized pool tables, 16 HD televisions and some of the best local bands playing several nights a week, there is always something to do and see in this Denver gem. The live music at Ds’ Tavern typically happens on the weekends, although the friends do occasionally book a midweek act. And on those nights when the sounds of live music cannot be heard, their state of the art jukebox fills the void nicely. Ds’ Tavern is a one-stop, have-all type of establishment, offering cold beer, amazing cocktails and a full menu of casual eats. In addition to the large bar and bandstand area, the establishment has a huge dance floor, a couple of quiet lounges and a large patio area for enjoying a warm summer evening under the stars. No list of the best live music venues in Denver would be complete with mentioning the club known as Dazzle Jazz. Located at 930 Lincoln Street in Denver, this great destination has been providing jazz-based entertainment for over 15 years in the city, hosting everything from nationally-touring jazz superstars to local up and comers seeking their shot at the big time. All of this great music takes place in a classy yet accessible establishment that offers semi-formal dining and stellar, friendly service. The bar is fully stocked with craft beer local, national and international wines and a great list of signature cocktails, priced just right for the environment. While enjoying a wonderful meal, patrons of Dazzle Jazz can sit back and listen to the sounds of the in-house jazz band, which plays on those nights when the likes of nationally-known acts such as Ravi Coltrane or the Ricky Earl Band are not scheduled to appear. Drummer Todd Reid also hosts a wonderful Jam Session every Tuesday, where local jazz musicians can perform their newest material for the always-crowded house.